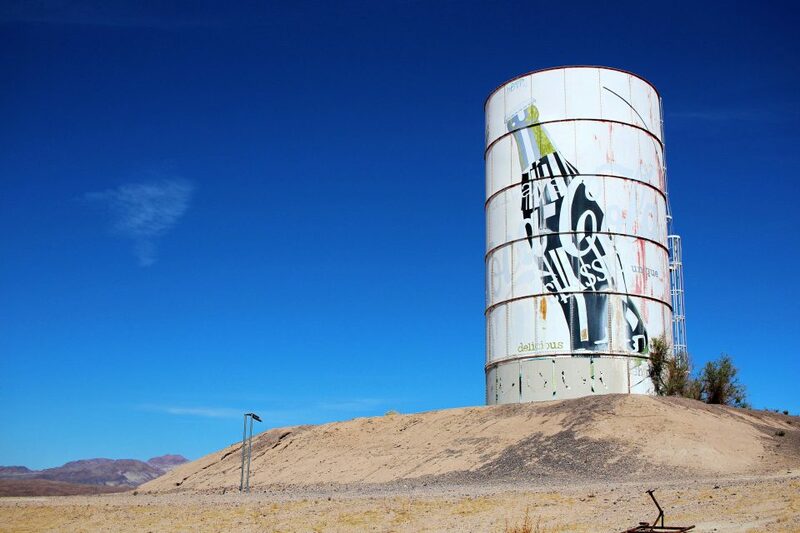 Due to their sizes and shapes, water tanks and towers lend themselves to artistic embellishment as these dozen creative examples refreshingly illustrate. A waterpark? In the middle of MY Mojave Desert? It’s more likely than you think… or at least it was, before the Lake Dolores Waterpark (later the Rock-A-Hoola Waterpark and then the Discovery Waterpark) circled the drain for the final time in 2004. 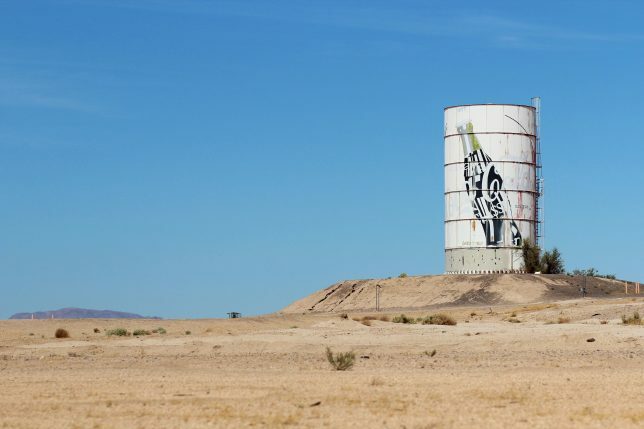 The water used to “power” the park(s) came from underground springs fed by the Mojave Aquifer and was stored in an enormous water tower shaped like – and painted to resemble – a Coca-Cola can. 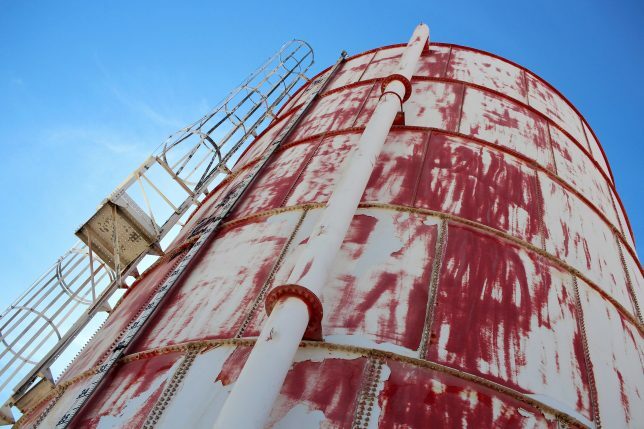 While much of the park has been vandalized and scavenged for metal, the water tank can blame its current tattered & faded state on the Mojave’s blistering desert sun. Kudos to Flickr user Hans Proppe (shadowplay) and Imgur user loganbush for snapping the eerie and evocative images above. 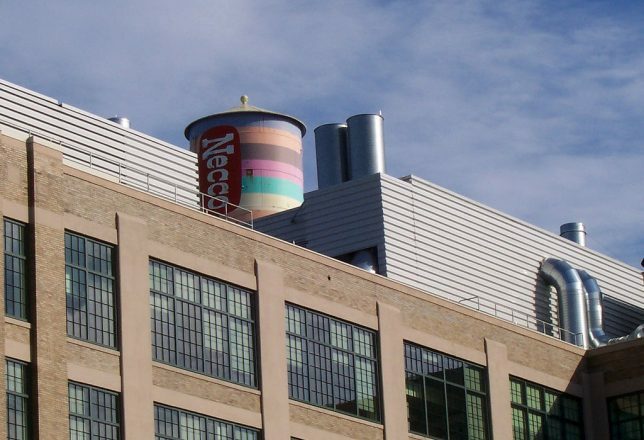 The circa-1927 New England Confectionery Company (NECCO, for short) building in Cambridge, MA is now occupied by offices of Swiss-based pharmaceutical firm Novartis, who graciously repainted the iconic Necco-wafer water tower in 1997. 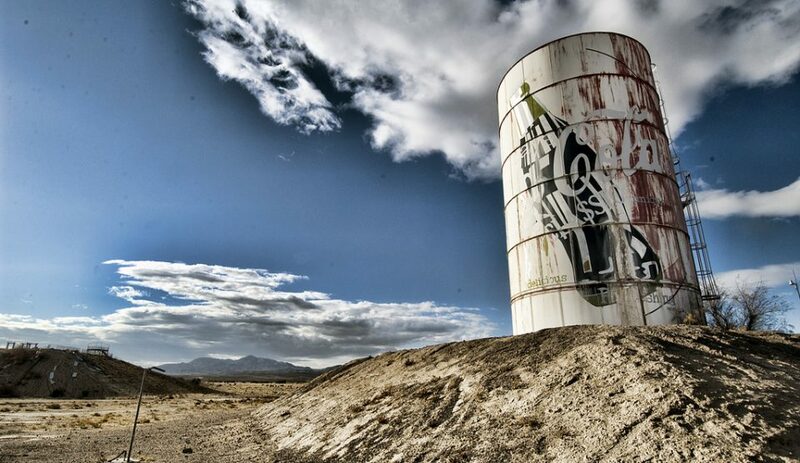 Flickr user Jill Robidoux (jylcat) snapped the tank on January 1st of 2003 and it’s a good thing she did: Novartis de-necco’d the tank in 2004 by painting it over in a boring-by-comparison pharma theme. 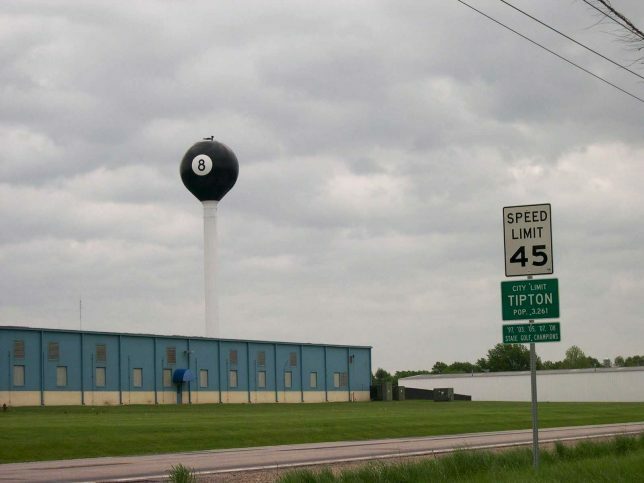 The giant 8-ball water tower in Tipton, Missouri came and went like a Fast Eddie Felson pool shot in the dark… and then it came back again, this time to stay. 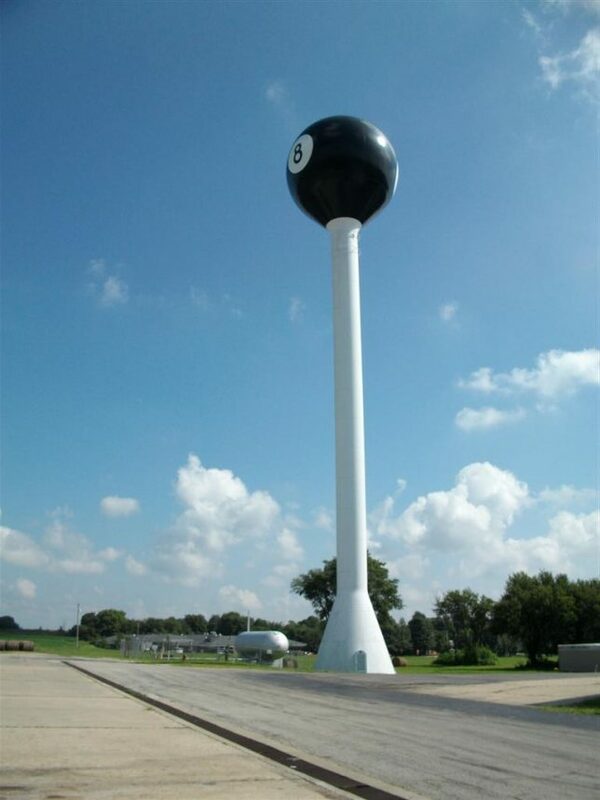 According to the Jefferson City News Tribune, in 1968 the water tower was creatively dressed in a billiard-ball theme by its owners, the Fischer Pool Table company. 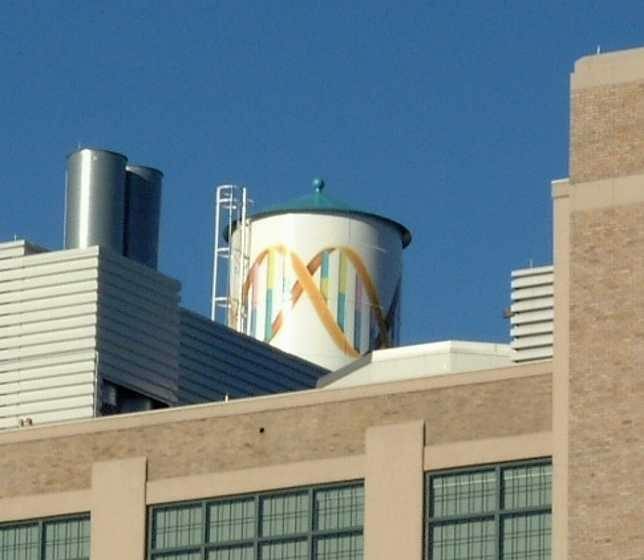 The water tower was ceded to the city and painted all-white after Fischer closed in 1977 but Tiptonians wanted their landmark back so in 1999, the tower was restored to its previous 8-ball livery. Minnesota Fats is likely looking down and smiling. 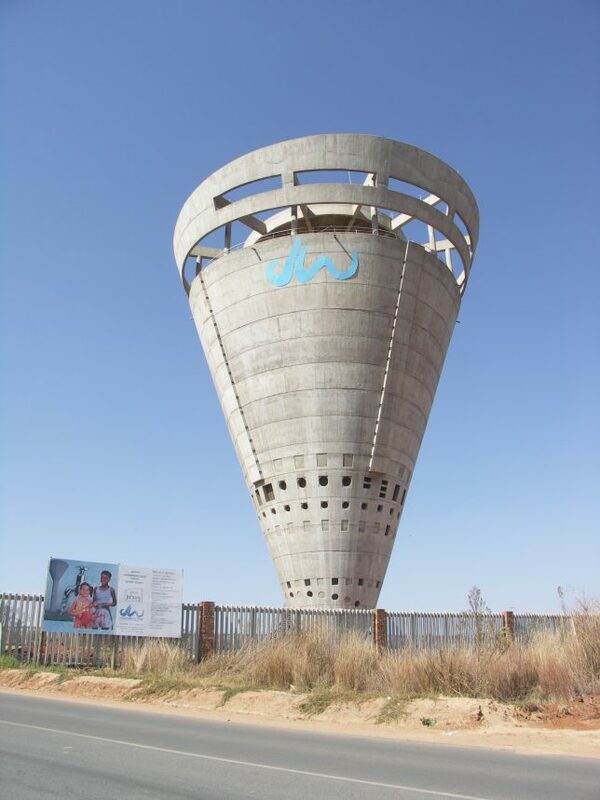 The only paint on the Grand Central Water Tower in Johannesburg, South Africa, is the aqua blue corporate corporate logo near the top… anything else would be superfluous. The curious conical tower was built in 1997 and stands 40m (131.2 ft) tall, assuming it hasn’t already tipped over.